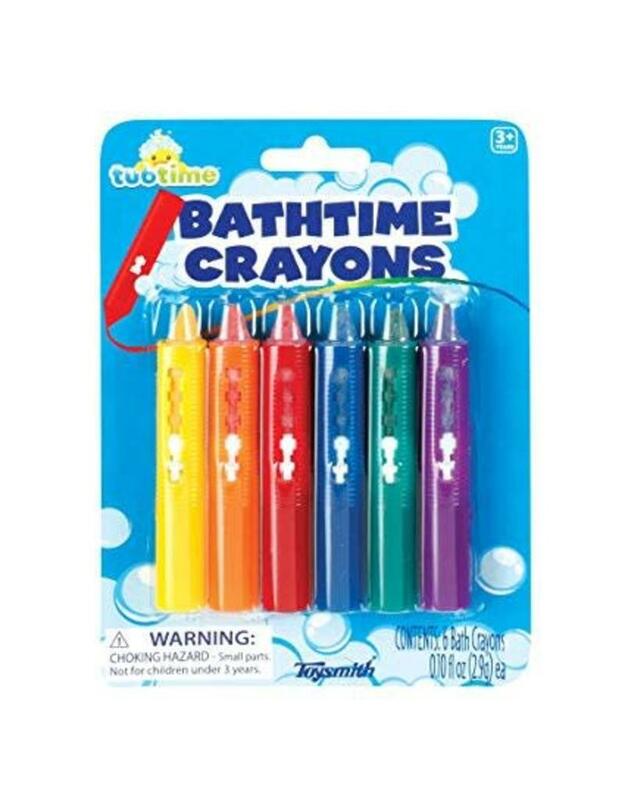 Make bath time fun with these Toysmith Bathtime Crayons. Let the kids show their creativity by drawing their own designs in the tub and shower. The crayons are secured in an easy-grip 3-inch crayon holder. When the flip lid is opened, the display lights up. Made from safe and non-toxic material to keep your little one safe, these bath time crayons from Toysmith will make bathtime fun and worry-free. This item is recommended for ages 5 and up.